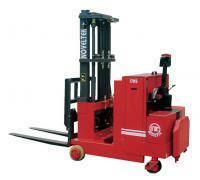 Counterbalanced Walkie Stacker (Load: 500Kg/800 Kg /1 Tons,1100LB~2200LB) CWS-05/08/10(CWS-05/08/10) - Noveltek Industrial Manufacturing Inc.
●Adjustable forged forks, suitable for any pallets. ●Fork backward 2° is standand. It can protect goods. 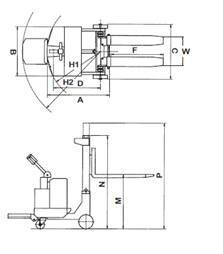 ●Tilting cylinder forward 3°and backward 8° on fork is optional. Resistance 3 speed is optional.